On Sale Now! Free Shipping Included! 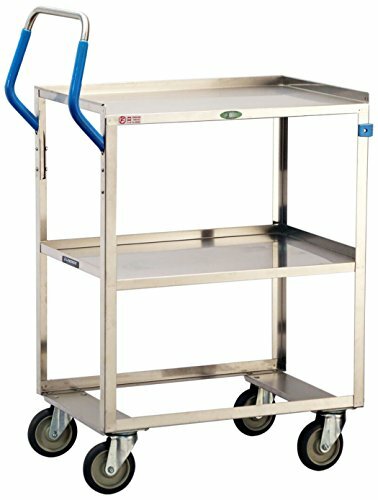 Save 6% on the Lakeside 6810 ERGO-ONE Series Stainless Steel Utility Cart 500 lb. Capacity, 2 Shelves, 19'' x 31-1/8'' x 44-3/8'' by Lakeside Manufacturing at In The National Interest. MPN: 6810. Hurry! Limited time offer. Offer valid only while supplies last. Lakeside is one of the worldwide leading manufacturers of mobile products for transporting, storing, dispensing and merchandising for over 70 years. If you have any questions about this product by Lakeside Manufacturing, contact us by completing and submitting the form below. If you are looking for a specif part number, please include it with your message.